The Suparule Cable Height Meter is a handheld meter for measurement of cable sag, cable height, and overhead clearance, a safe alternative to telescopic ranging sticks. The Suparule Cable Height Meter utilises ultrasonic signals to determine the height of overhead cables up to 23m (75feet). 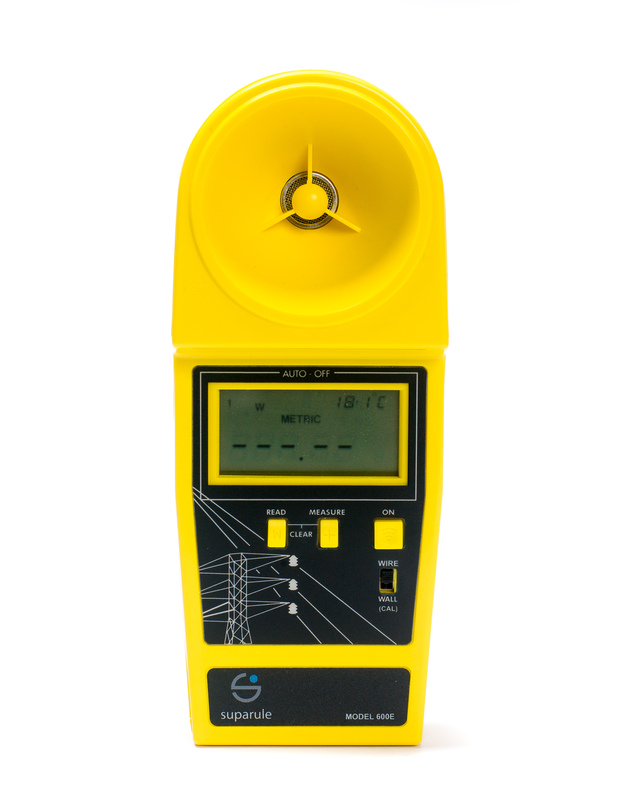 The optional DT80 Dynamic Target enables the CHM300DT version Cable Height Meter to also measure horizontal distances to a diameter of more than 80m (260ft). Suparule proprietary design, with proven reliability.